I started in the plumbing business when I joined a large plumbing company in Orlando, Florida in 1987. Within 4 years I was the top revenue producer for Residential / Drain Cleaning and held that title for the next 10 years. I was made a Team Leader, Technician Trainer and was the Drain Cleaning Troubleshooter for difficult jobs that other technicians and some times other plumbing companies gave up on. I received Team Member of the Month several times a year, and several yearly awards over my 16 years of service. I attended Seminole Community College’s, Apprentice Plumbing Program, passed the state test and received my Journeymen Plumbing licenses in 1992. I was one of only three licensed plumbers out of 35 technicians at the large plumbing company. After seeing customers stop calling because of the company’s high prices, not giving prices over the phone, and making the customer wait for a tech to show up to give an estimate, I saw the writing on the wall and took the classes to get my state contractors license. After taking the two day State Contractor Test and passing on my first try, I incorporated and opened Drain Doctor Plumbers Inc. in 2003. 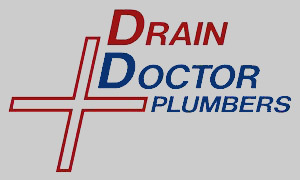 Knowing what the customer wanted, Drain Doctor Plumbers took the large plumbing company prices and lowered them by $50.00. I was the first plumbing company in the state to publish pricing structure on the Web and give prices over the phone. Today, we are still the only Plumbing Company in Central Florida brave enough to do so.